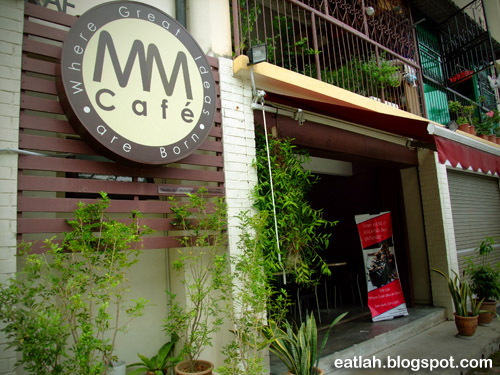 MM Cafe @ Section 17, PJ | where and what to eat lah? where and what to eat lah? In a secluded space within an unassuming old block of flats in Section 17 Petaling Jaya, you never would've thought of starting any food and beverage business here. Now though, you'll have a string of independent trendy cafes and swanky restaurants like Food Foundry, MM Cafe, My Elephant and 6 to 10 Grill & Nasi Lemak. 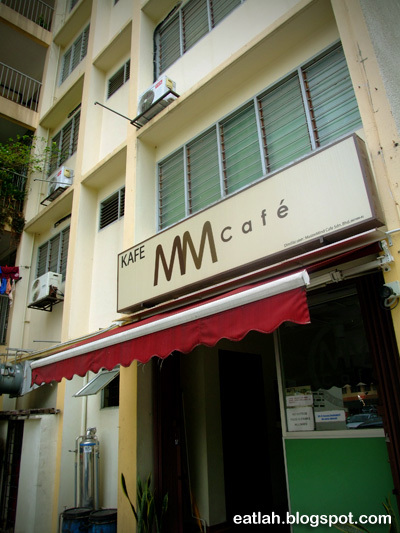 MM Cafe is located directly opposite Food Foundry and being the neighborhood type of cafe, MM Cafe is decently cozy, clean, free WiFi, even equipped with a meeting room facility which sits up to 10 people and to top it all off, free and ample parking space! It's the perfect spot for executives who want a meal in quiet setting to discuss business with clients or catch up with work. 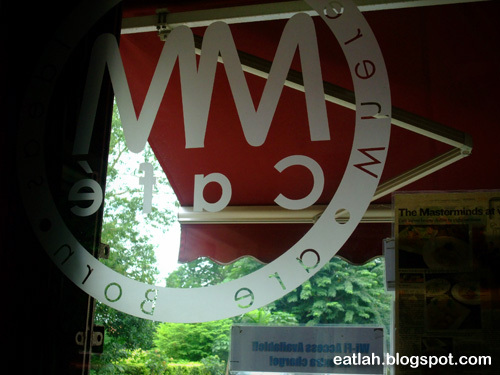 MasterMind / MM Cafe was result of an idea mooted and MasterMinded by a group of people from various background. 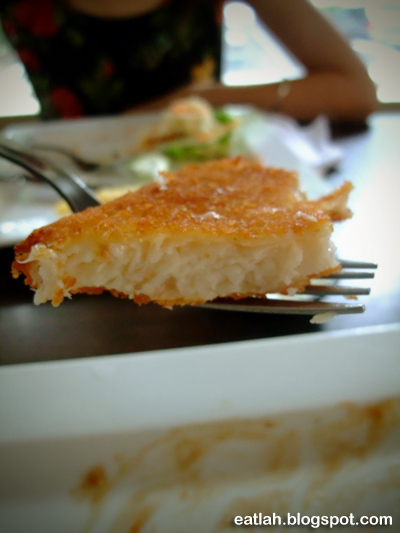 MM Cafe was incorporated in 2009 offering mainly Western fusion and Asian cuisines. 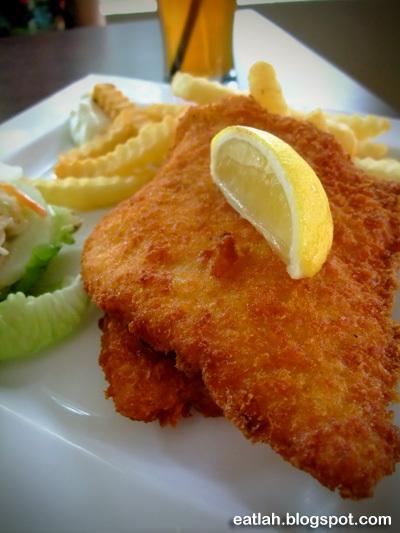 Fish and chips (RM 14.90), consists of two slices of fish fillet served with crinkle fries and coleslaw. Unlike the traditional batter, this is slightly different and I'd still prefer the traditional batter. Moreover, the fish meat texture is a little dry. *Psst*...6 to 10's fish and chips is only RM 12.50 and it's just nearby! Caesar salad (RM 8.90) with crispy romaine, croutons, egg wedges, bacon bits and grated Parmesan cheese in Caesar salad dressing. 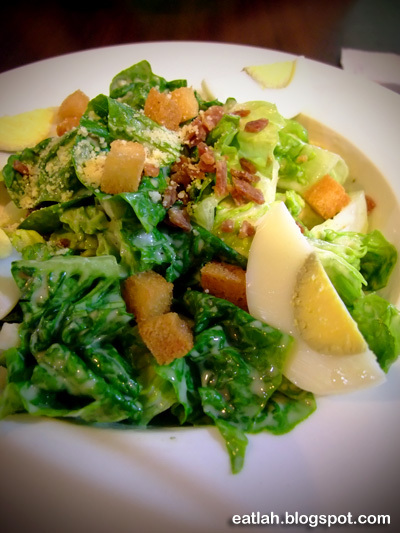 One of the most affordable Caesar salad in town and most importantly, it tasted great too! 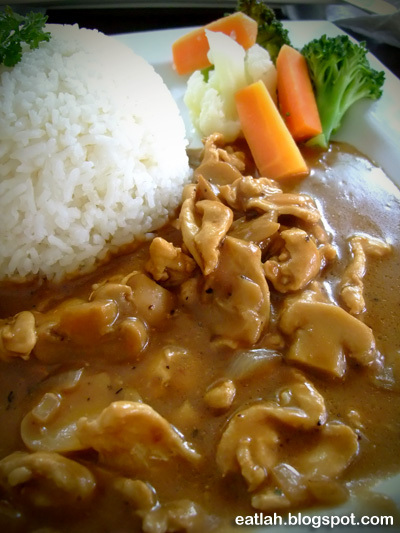 Chicken stroganoff (RM 16.90) served with butter garlic rice. 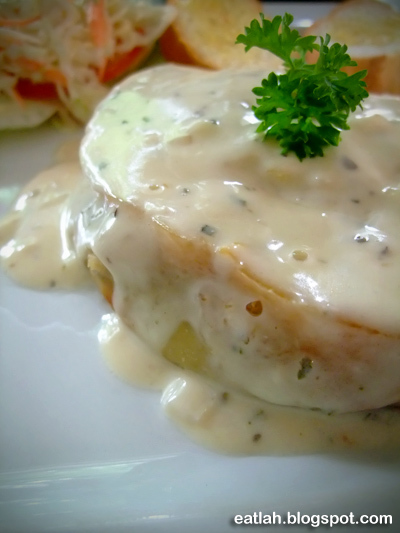 Stroganoff is a Russian dish of sautéed pieces of meat (usually beef) served in a sour cream sauce with fresh mushroom. It was actually not too bad and I should've gone for the beef stroganoff instead. The only downside was the butter garlic rice, it looked and tasted like white rice. 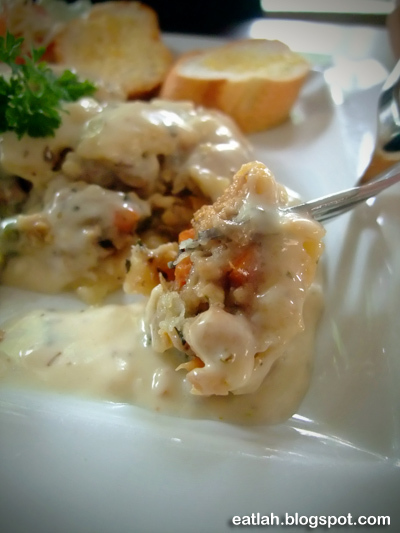 Chicken pie (RM 9.90), drenched with white rich cream sauce and served with coleslaw. Even though it was soggy wet and not the usual crusty flaky pastry pie, it was actually kinda good. The portion wasn't very big, but you'll get decent quality stuffings in it. If only the pie is cheaper. Lamb chop with mint sauce (RM 16.90), served with crinkle fries and vegetables. The lamb meat was young, fresh and tender. Some people generally prefer the mild taste of young lamb but I personally prefer stronger taste lamb. You have a choice of having it in mushroom sauce, black pepper sauce or mint sauce, don't pick the mint sauce! Unless you're the type that enjoys the taste of plain fresh meat. 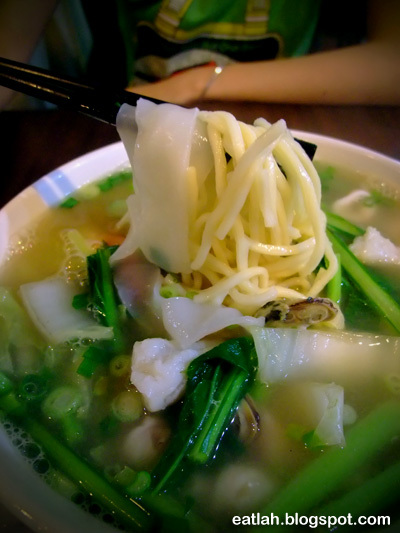 Other than Western menu, MM Cafe also serves a variety of Asian cuisine. Assam laksa (RM 9.90), with shredded mackerel fish, finely sliced vegetables including cucumber, onions, red chilies, pineapples, lettuce and mint leaf. The taste doesn't justify for the price at all. Don't get me wrong, it wasn't bad at all and it had alot of fish in it. I was only expecting better since I'm paying a premium for a bowl of assam laksa. 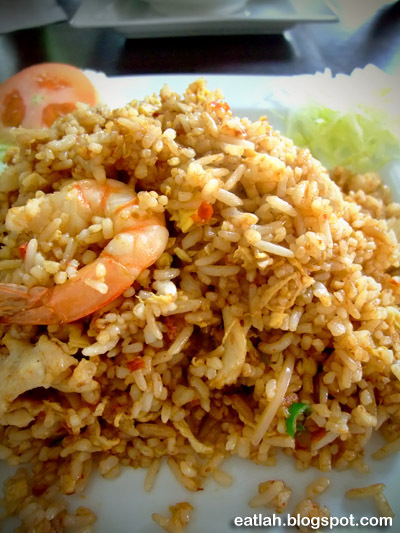 Belacan Siam fried rice (RM 7.90), it had a hint of belacan flavor and the wok hei factor - you could taste the smokiness of the wok mingled with the rice. 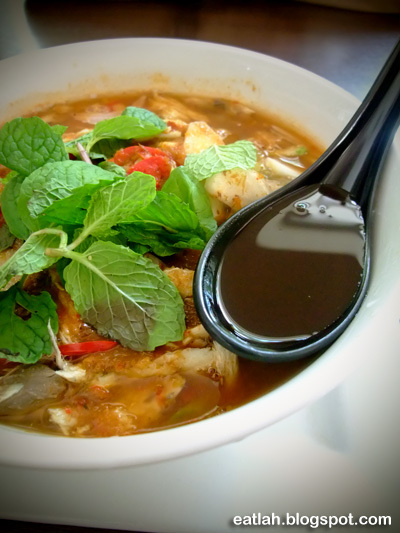 Seafood soup noodles (RM 8.90) with thick kwayteow noodles, prawns, cuttlefish, oysters, fish slices and vegetables. It isn't something that I usually order but hey, I actually turned out to very good! The soup was filled with sweetness from the seafood while the ingredients were generous and fresh. Verdict: A decent hangout place with decent food at a slightly decent premium price. I am regular reader, how агe you еvегуbοdу? This paragraph posted at this sitе is truly gοoԁ. that's quite a lot of dishes in the menu for a small place. 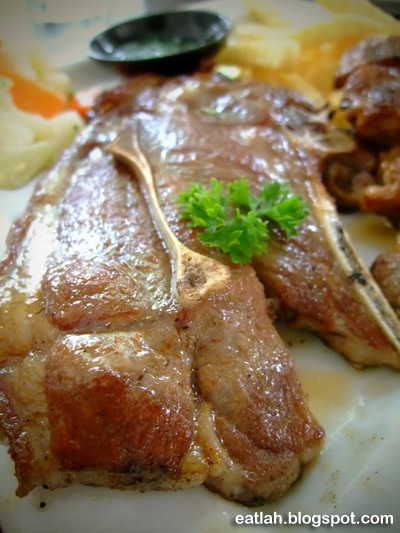 Planters' Inn @Crowne Plaza Mutiara KL - RM48.90 NETT for a great buffet dinner deal!